The abolition of slavery in 1865 was merely the first act in the continuing drama to ensure equal rights for all Americans. The quest for civil rights legislation in the century following the Civil War was a long road, hampered by decades of struggle, neglect, and delay. Entrenched racial attitudes and hallowed legislative procedures left little hope for African-Americans to share in the American dream. 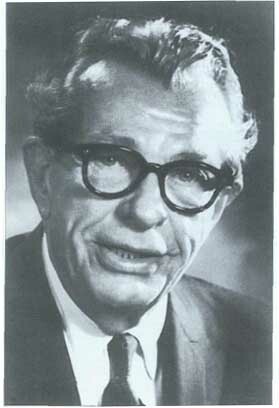 It was not until 1964, that many diverse and powerful forces combined with the personal courage of the U.S. Senate minority leader and senior senator from Illinois, Everett McKinley Dirksen, to pass the most meaningful civil rights legislation in nearly a century: the Civil Rights Act of 1964. Although the debate over civil rights never left the political arena, Jim Crow laws and the inability to effectively elevate civil rights legislation above the state level silenced the voice for equality. Jim Crow laws, which legalized segregation of the races, allowed state governments to officially sanction what had been an informal arrangement since the Civil War. At the federal level, the Supreme Court confirmed the "separate but equal" doctrine in the 1896 decision, Plessy v. Ferguson. In practice, however, African-Americans were relegated to inferior status. Two factors, one political and the other institutional, prevented Congress from enacting civil rights legislation. In the years following Reconstruction, the Democratic Party regained political power in many of the Southern states and sent a procession of Democratic senators to Congress. To block civil rights legislation, these senators, and at times, those conservative members from other states, employed one of the Senate's most cherished and protected prerogatives, the filibuster. The filibuster is the attempt by a senator, or group of senators, to delay or terminate legislation through the use of unlimited debate. conduct one. Senators from smaller or less populated states are generally hesitant to vote against a filibuster, realizing that there may be times when a filibuster might protect their interest against a majority. The only parliamentary method to end a filibuster is a vote for cloture. Cloture, as a Senate rule, was adopted in the early twentieth century when President Woodrow Wilson reacted to a filibuster against arming U.S. merchant ships in the face of German aggression. At that time, and until 1975, a vote for cloture demanded a two-thirds vote of the members present. By the late 1950s, the political climate in America was changing regarding civil rights. A younger, more aggressive generation of African-Americans was unwilling to remain separated from facilities and opportunities available to other Americans. Following the guidance of Martin Luther King, Jr., who had adopted the philosophy and tactics of Mahatma Gandhi—mass, nonviolent demonstrations, both planned and impromptu—were staged throughout the South. With the advent of television, firehoses, police dogs, and heatings that demonstrators faced were brought into the living rooms of millions of Americans. Andrew Young, a member of Martin Luther King's staff, recounted the significance of television, "We understood television at that time to be educational TV, I remember civil rights leader Wyatt Walker saying that commercial time cost about $30,000 a minute on the NBC or CBS nightly news program. We figured, therefore, that we were getting close to a million dollars' worth of television time when we got three minutes or so on each of the networks, plus local TV." American attitudes toward segregation were undergoing transformation. The changing attitudes were not lost upon Lyndon Johnson, the U.S. Senate majority leader. He led the passage of two civil rights bills, the Acts of 1957 and 1960. However, the compromises he was forced to accept to avoid a filibuster left both measures largely impotent. Congress was clearly out of step with events taking place in American society. If the election of President John Kennedy in 1960 held any hope for African-Americans, they were to be sorely disappointed. In contrast to his rhetoric, Kennedy did not view civil rights legislation as a high priority for his administration. His proposals for modest improvements in protection of voting rights and assistance in desegregation of schools fell far short of addressing the needs of many Americans. Kennedy's political instincts told him that the many legislative roadblocks would prevent the passage of meaningful civil rights measures. Although he was sympathetic to the cause, Kennedy was unwilling to suffer almost certain legislative defeat. Events, however, were to propel him to action. Violence in the South, particularly in Birmingham, Alabama, increased pressure on the administration to provide leadership. In July 1963, Kennedy responded by proposing the most comprehensive civil rights bill ever sent to Congress. Two provisions were groundbreaking: 1) public accommodations (for example, restaurants and buses were to be desegregated) and 2) the attorney general could sue states that supported segregated schools. Other provisions prohibited discrimination in hiring and voting practices. The fear of a filibuster in the Senate was the driving force behind the administration's strategy for passage of the civil rights bill, Kennedy introduced the bill in the more liberal and less aggressive atmosphere of the House of Representatives, hoping a bill acceptable to all sides would emerge, thus lessening the chances of a filibuster in the Senate. After months of winding through the House's legislative maze, an uncompromised bill was passed by a vote of 290 to 130 on February 10, 1964. Some of the impetus for passage came from the shock of President Kennedy's assassination and the determination of his successor, Lyndon Johnson, to pass the strongest possible bill. The measure now faced its greatest challenge in the U.S. Senate. From the beginning, before the bill was even introduced in the House, Kennedy, and then Johnson, realized the success or failure of the bill rested upon the shoulders of one man, Everett McKinley Dirksen. Ironically, two Democratic presidents relied upon a Republican senator because they could not count on the support of Southern Democratic senators, most of whom supported segregation. Dirksen could deliver enough Republican votes to invoke cloture, thus limiting debate and vastly improving the chances of the bill's passage. In fact, if a senator was willing to vote for cloture he would also, in all probability, vote for the civil rights bill. But Dirksen was in an awkward position. He was asked to deliver Republican votes in support of a Democratic president against a faction of that president's party. How could Dirksen reconcile this with his party, constituents, and colleagues? Also, Dirksen had to contend with the natural opposition to the bill held by his fellow Republicans in the Senate. Added to these difficulties were Dirksen's own reservations with the bill. Though recognizing the need for civil rights legislation, Dirksen had constitutional objections to several parts of the bill, particularly those dealing with public accommodations. Dirksen was going to have to call upon the considerable skills and experience gained in a thirty-two-year career in Congress. 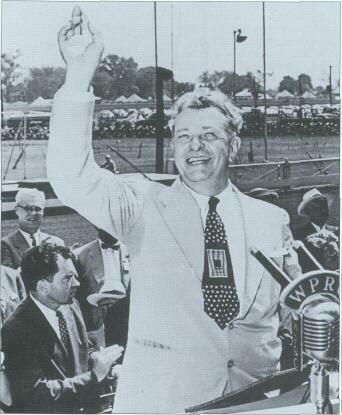 Born in 1896, in Pekin, Illinois, Dirksen was the son of German immigrants. With his two brothers, Everett was raised in a strict, but loving home where religion and hard work dominated life. Everett's college career was cut short by military service in World War I. He did not return to school after the war but moved from job to job, once even attempting a bakery business with his brothers. Dirksen's true calling was found in 1926, when he was elected commissioner of finance for the city of Pekin. Six years later, as a Republican, Dirksen won his first term in the U.S. House of Representatives. His sixteen years in the House was, in effect, an apprenticeship for Dirksen. Those years allowed Dirksen to hone his speaking skills, establish an exhaustive work ethic, and develop a philosophy about government and his role as a member of Congress. Rather than being pigeon-holed as a follower of one brand of politics, Dirksen adopted a course of pragmatism. He took the "big view" of his position and referred to himself as a "professional politician." Taking partisan stances would impede the progress of the nation. Although his flexibility was a source of frustration for his fellow Republicans, Dirksen's ability to work both sides of the aisle was an attribute that led to his election as minority leader in 1959. Thus, by 1964 Dirksen was poised to deal with the conflicting interests of principle and partisan politics in the pending civil rights legislation. Senator Richard Russell (D-Ga.) began a filibuster against the bill on March 9, 1964, just days after it was introduced in the Senate. During the weeks immediately following introduction of the bill, Dirksen formed a small working group to fashion a Senate substitute for the House bill. Dirksen also followed an elusive path in working with the administration and his Senate colleagues. At times he appeared to be lukewarm about the bill, while on other occasions he proposed so many amendments that the original bill was hardly recognizable. Gradually, his strategy became clear. Dirksen was assessing the positions of his fellow senators. By never taking a firm stand one way or the other, Dirksen gauged the strengths and weaknesses of the proposal. Tallying the support for the bill also told Dirksen if enough votes were present for cloture, which had to pass before the bill could come to a vote. press conference, and summoning all of his rhetorical skills, he lectured an audience of astounded newsmen about the moral need for a civil rights bill. He not only effectively countered the revolt by taking the moral high ground, but also revealed that he had been a proponent of the bill all along. The remainder of the week was spent containing any defections that occurred before the vote could be brought to the floor. The time had come for action. The gallery was packed on June 10, 1964, as all one hundred senators were present for the climactic moment of the longest filibuster in Senate history. Late in the morning Everett Dirksen rose from his seat to address the Senate. In poor health, drained from working fourteen-, fifteen-, and sixteen-hour days, his words came quietly. "There are many reasons why cloture should be invoked and a good civil rights measure enacted. It is said that on the night he died, Victor Hugo wrote in his diary substantially this sentiment, 'Stronger than all the armies is an idea whose time has come.' The time has come for equality of opportunity in sharing of government, in education, and in employment. It must not be stayed or denied." After Dirksen spoke for fifteen minutes the motion for a roll call vote for cloture was heard. As each name was read, members of the press and spectators in the gallery kept tally. At 11:15 a.m., Senator John Williams of Delaware replied "aye" to the question. It was the sixty-seventh vote; cloture had passed, opening the way for the Civil Rights bill to be passed. After successfully defeating the eighty-three-day filibuster, Dirksen, when asked how he had become a crusader in this cause, replied, "I am involved in mankind, and whatever the skin, we are all included in mankind." Somewhat anticlimactically, the bill was signed into law by President Johnson on July 2, 1964.